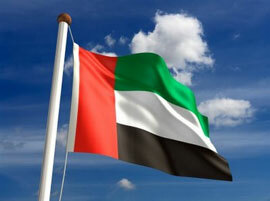 Around seven out of 10 expats in the United Arab Emirates have limited knowledge of UAE culture and local customs and traditions, a new survey has revealed. A survey conducted by 999 Magazine, the official English monthly of the Ministry of Interior, has discovered that despite encouragement to learn about the UAE culture, around 72 percent of expats neglect to do so. Just 28 percent of the respondents could display real knowledge of UAE customs, 11 percent admitted that have made no effort whatsoever to familiarise with local traditions. The survey quizzed a selection of different expats, including Westerners, Asians and Arabs, with most individuals having lived in the in the UAE for one year or longer. The Middle East is an immensely popular destination for UK expatriates, yet to avoid culture clashes it’s important to at least get a basic grasp of traditions and customs, here on Expat & Offshore we have a great deal of information designed to aid expats do exactly that, start by visiting our Middle East City Guides.